I'm sure I've appeared in Wizard over the years I was performing Spidey, never as a featured story about my exploits, though. 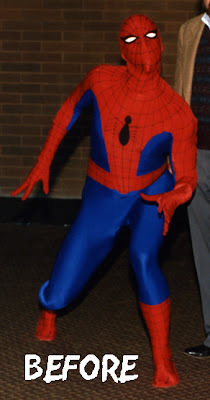 The veteran of the Personal Appearance program, Jeremy, who was playing the Web-Slinger since the Carter administration and continued for a few years after my departure, did have an article written on his Marvel adventures in Wizard, so maybe it was he you recall. Again thanks for the kind words. Tell your friends and keep reading! 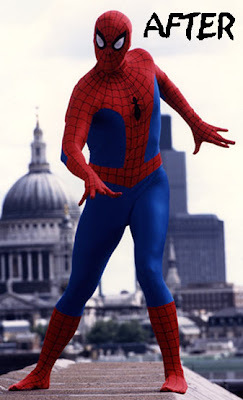 I grew up with the Romita costume. But I remember the MacFarlane costume with fondness as well. He even did a G.I. Joe comic or two. I believe MacFarlane started, or some of his earliest work was on, Infinity, Inc. before he started penciling Hulk shortly after Peter David's historic run began in which he returned the character to his original gray incarnation. 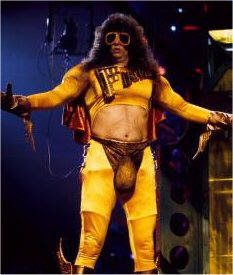 I met him at a convention in Edmonton soon after he took over Amazing Spider-Man. 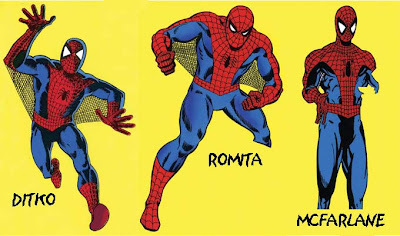 Romita I saw frequently at Marvel as he was the company's art director when I was doing the Spider thang. That's really cool! Have you seen MacFarlanes G.I. Joe work? I love everything he's done, Spidey, Hulk, Spawn, but not Joe. It just seemed...weird. The suit for regular appearances is probably the same design, as Spider-Man's design has remained consistent since—barring brief stints in the mechanical suit of a few years back and a short return to the black costume. I have never had the good fortune to visit Universal's Islands of Adventure, so cannot say whether it is the same suit or not. If you emailed me a picture I would have a better idea. As you bring interesting topics on here this is very nice from people get lots of fun and enjoyment during boring moments. Buyers of essay papers can easily get EssayPro service also for writing of required essay works. I recently picked up a Spider-man Costume, with a Eaves Costume label inside. The seller told me that her deceased Uncle (Jon Tanner) was a Broadway Actor in New York that was hired by the Marvel Entertainment Promotional tours in the early 1980's. I was curious if you recall ever working with him. I've really enjoyed your blog. Great stories!